I was postponing a trip to Ireland for a long time, and then a perfect opportunity came not just to visit Ireland but to spend New Year's Eve in Dublin! Pretty exciting, isn't it? As usual, I started with a research on the most instagrammable spots. What can be better than combining New year celebrations with snapping a few nice shots? 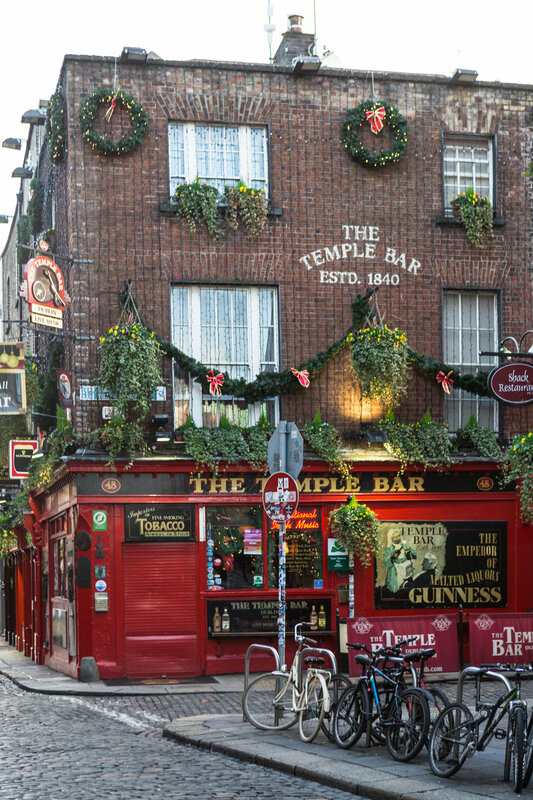 Temple Bar is the area you can't miss in Dublin. It gets very busy in the afternoon so if you are after taking photos it's better to go in the morning, and of course to return later in the day to visit one of the pubs. 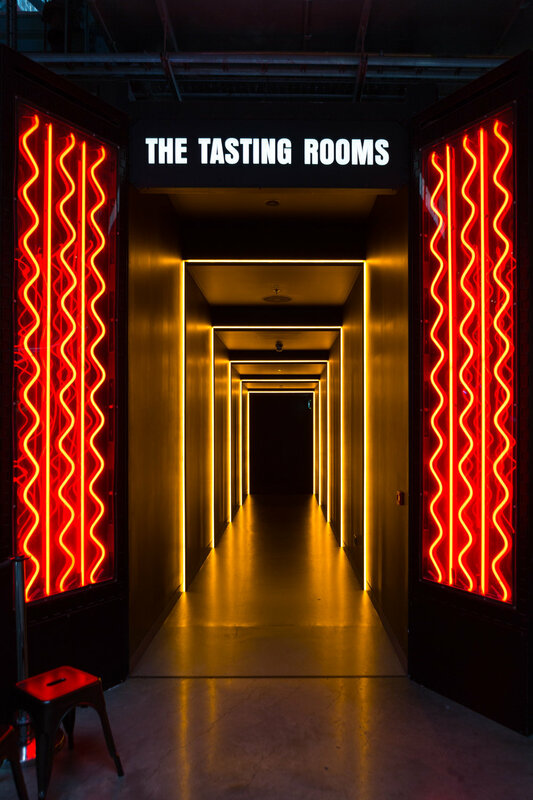 We didn't get a chance to check it out but were recommended a hidden spot called Vintage Cocktail Club or VCC. Going for a traditional music and dance performance is a lot of fun - we loved the experience at the Merry Ploughboy Pub, it's not in the centre but seemed to be popular as all the tables were full. 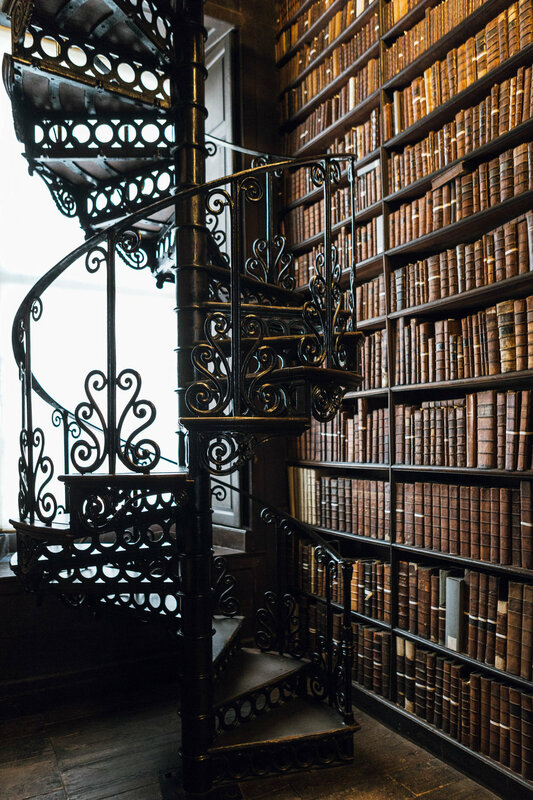 Trinity College Library is another must-visit place. The highlight is the Long Room which houses 200,000 of the Library’s oldest book. The library gets very busy and the best is to book tickets online. I loved seeing Dublin embracing festive spirit with all its Christmas decorations. Pictured below is the Powerscort shopping centre. We couldn't miss popping into Guinness Storehouse too. I won't lie, I wanted to go mostly because of the view from the top but the whole experience was actually really nice. 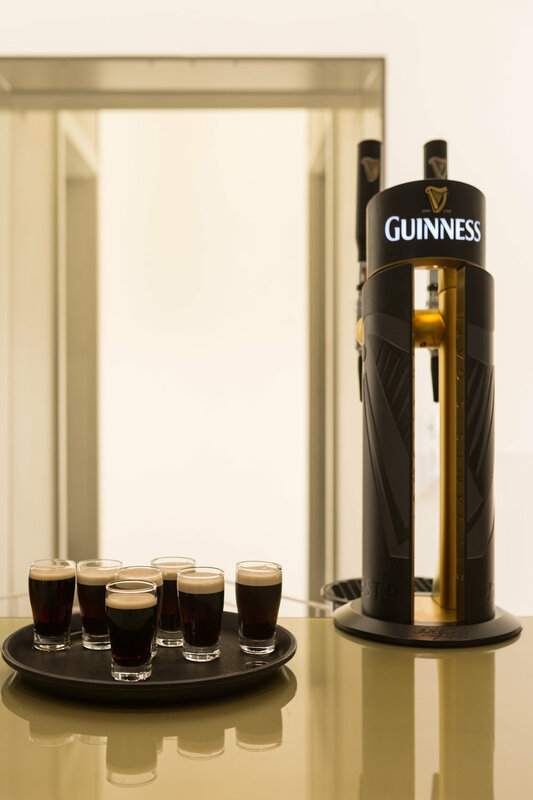 The storehouse covers 7 floors where you can learn about Guinness history and production process, give a go at pouring a perfect pint, dine, buy souvenirs and a lot more. Stephen's Green is another beautiful shopping centre worth popping into. 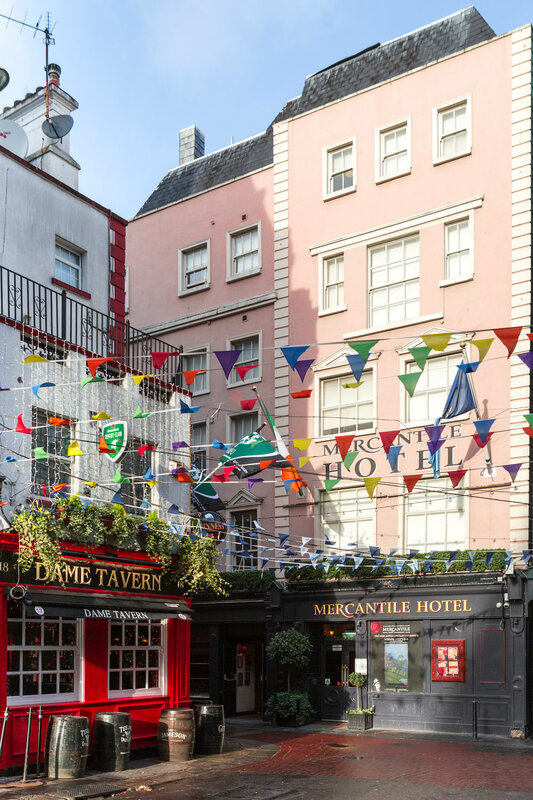 Check out Drury Street for independent shops and cafes. For a day out of Dublin take a 30-minute fast train service DART from Dublin city centre to a fishing village of Howth. If the weather is nice, take a cliff walk which offers great views of the Bailey Lighthouse. Wear comfortable shoes, hiking shoes would be best as it was quite muddy when we visited. Last but not least, the main reason for our visit - Dublin New Year's festival. It lasted for 2 days - Kodeline concert followed by a countdown and a special performance on the evening of the 31-st December and then the continuation of the performance on the 1st January. Special thanks to Failte Ireland and Visit Dublin for our wonderful stay.